The aims of the round table discussion were to list the actual questions as well as to draw up the future of the technical development of the Hungarian agriculture. The representatives of agriculture, i.e. arable landing, horticulture, animal husbandry, integrators, machine suppliers, agricultural chamber and government shared their opinions in six topics. There was an agreement that digitalization increases the importance of the skilled labour, the provision of which will be one of the biggest challenges of the next decade. Because of the subvention-policy, the technical supply of the farms was improved, use of up-to-date equipment is more prevalent, and the attention to the productivity of the assets and the profitability of the agricultural activities will be key factors of the competitiveness of agriculture. 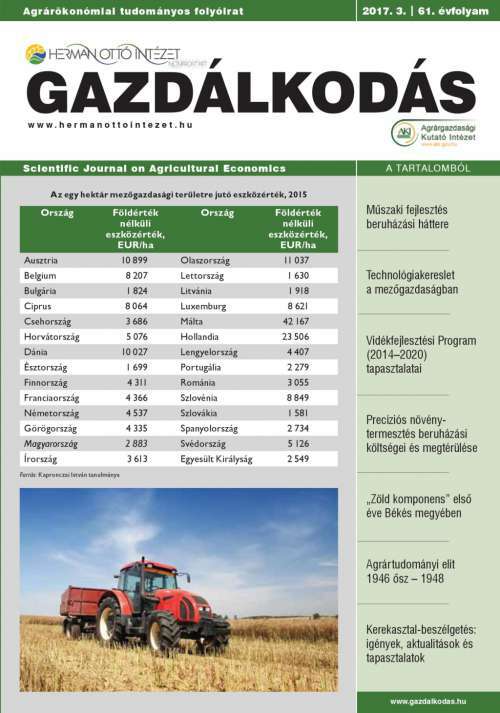 No one in Hungarian agriculture can evade the global trends, such as the concentration of the agricultural suppliers, which is the key to increasing the productivity and profitability of the industry. It is necessary for the Hungarian agricultural producers to make this a top priority. Because of this, also strengthening the cooperation and the trust among the participants of agriculture will become important, their competitiveness will greatly depend on it. The role of cooperation is strong in case of Western European competitors. The role of cooperation should be further discussed, as it can be a solution for the efficient use of high performance equipment in the next years given the recent farm structure.